This spring the Alberta Association of Architects is hosting its annual professional development symposium in Edmonton, Alberta. Innovia has been selected to present three business-focused sessions for participants. Two will be presented by John McKenna, and the third (“Talent Management for Architects”) by Russell Pollard. 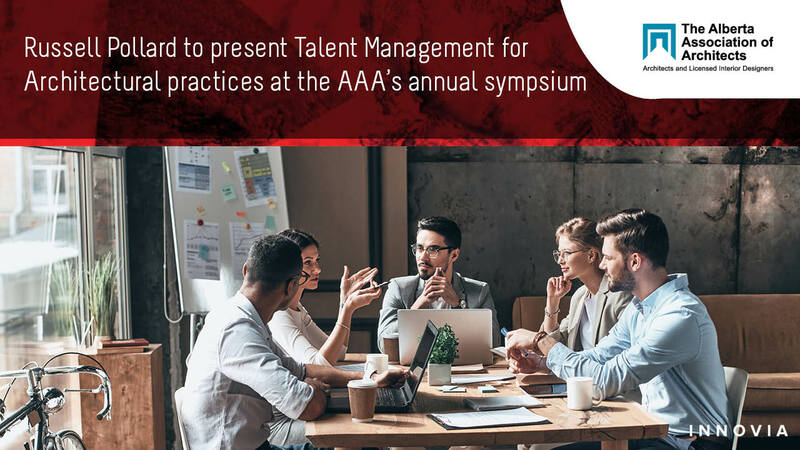 This talent seminar will introduce best practices and concepts in terms of managing a competitive, creative practice – balancing the need for creativity with the need for talent management to drive strategic goals at every stage of the employee experience, and every stage of corporate growth. From corporate structure to compensation, and from performance management to succession, our team works with creative businesses to define and improve their practice’s culture and economic model, with the view of serving both creative and strategic ambitions of the practice. For more information on the annual symposium, click here. Russell Pollard is a management consultant with Innovia Partners. He works with clients on talent strategies, succession planning and, learning and development programs, helping align their workforce with business strategy. Russell has co-presented this topic for the Royal Architectural Institute of Canada and serves as Chair of the Associates’ Leadership Club of the Museum of Architecture (London, England). Russell has an MBA and holds a Bachelor’s in interdisciplinary leadership studies. He is pursuing a Certificate in Inclusive Leadership.